ONE | One of my favorite things about summer is being able to get fresh flower bouquets at the Farmer’s Market every weekend. During the non-summer months I always turn to Trader Joe’s for my fresh flower needs. 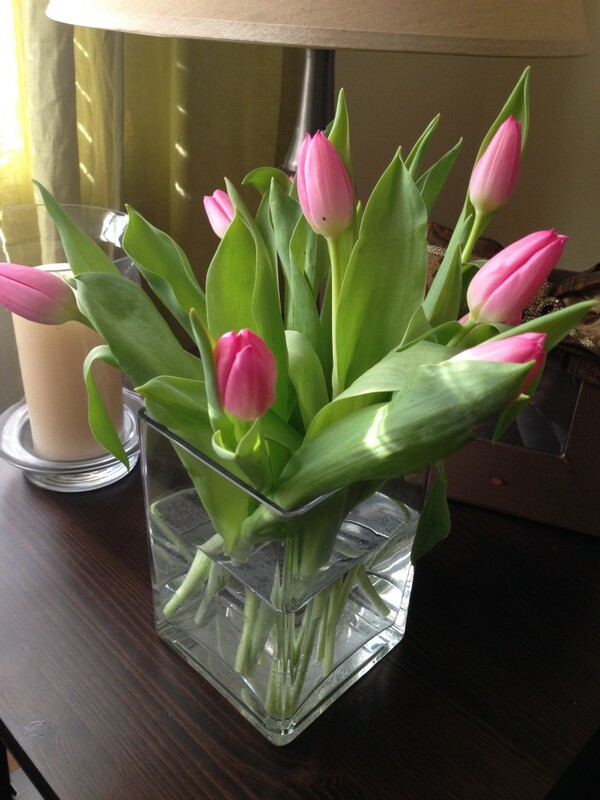 Tulips are back and I picked up this bunch for $4.99 last weekend. 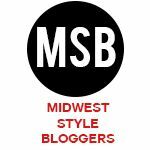 I have loved seeing these bright pink beauties on my table this week! TWO | Last week Bath and Body Works had their 3-wick candles on sale for $12 (plus 20% off coupon in the mail) and I picked up two new scents for spring. 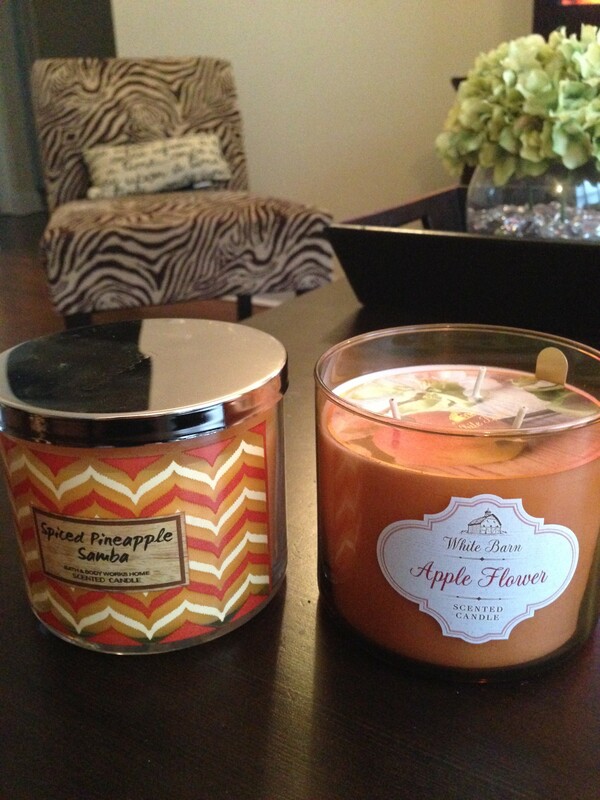 I really love the Spiced Pineapple scent! 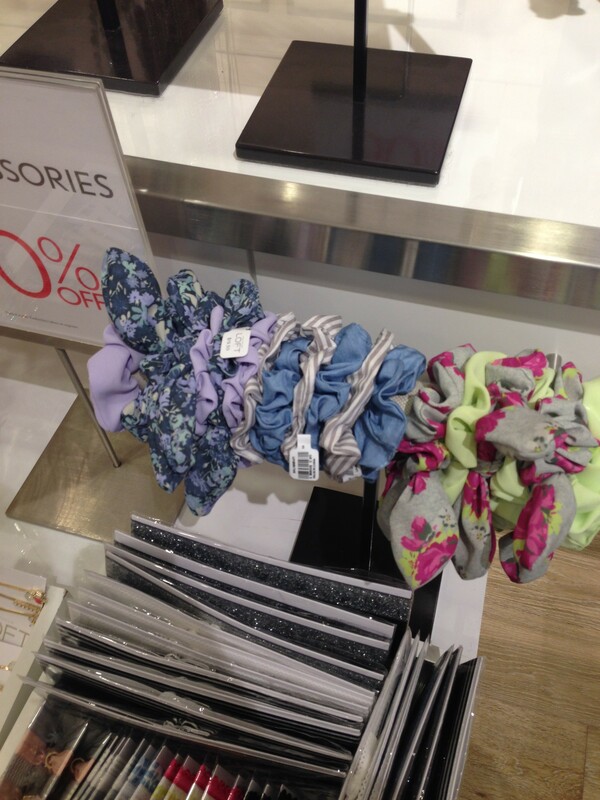 THREE | Also while out shopping, I came across these at the Loft…are scrunchies back in style?? 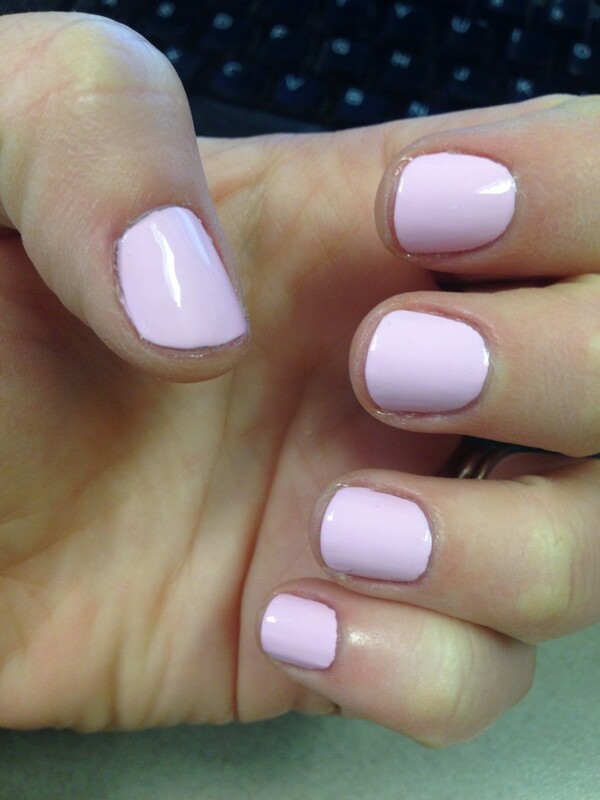 FOUR | After Valentine’s Day I decided it is acceptable to start wearing lighter shades of nail polish again. One of my favorite colors is OPI “Mod About You”. FIVE | Last but certainly not least, one of my best friends from college, Erin, and her husband Scott are expecting a baby in June! 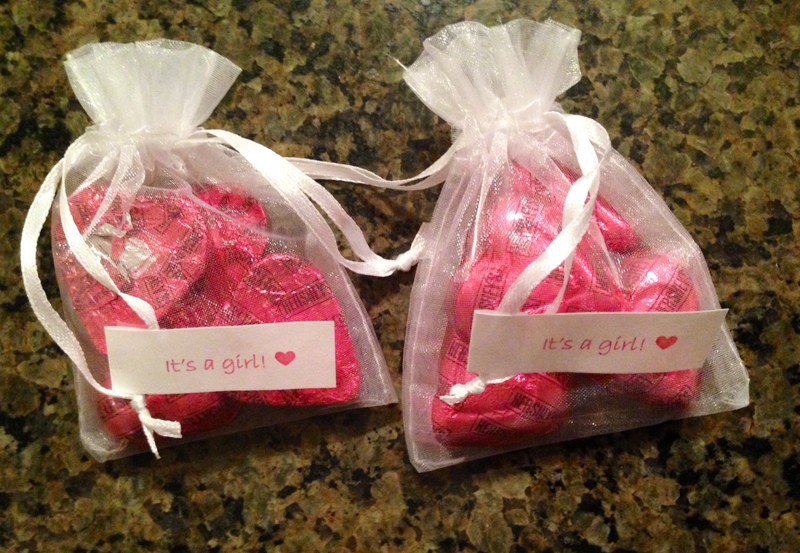 They recently found out the gender and she sent our group of girl friends the cutest little gender reveal packages. It’s a girl!! We are so excited for them and can’t wait to meet their sweet baby girl!